Imagine the scene. I hadn't had a day off in two weeks because of the IT project of doooooom. Yes, doooooom. I was due to finish work at 12pm on Sunday, and everything was meant to be 'routine'. My husband was meeting me in town and we were joining Wayne and Vicki on the train. The plan was to trot into Manchester for a spot of lunch at the Oast House. Lovely. Then boom. At 11:55am it all went west. We were up that brown creek with another brown item as a paddle. 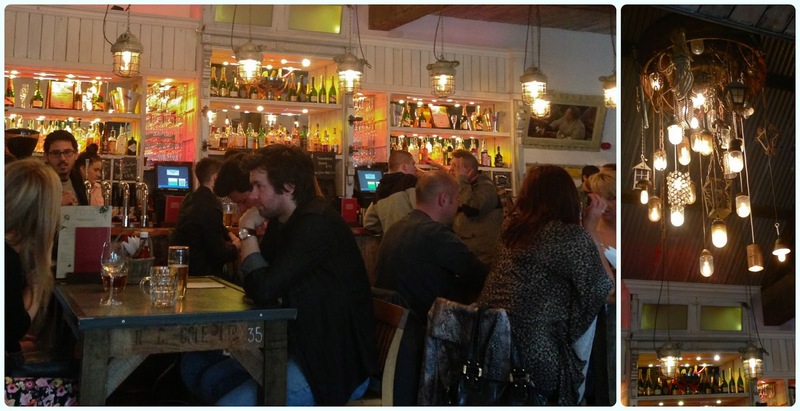 I had to instruct my husband and friends go to Manchester without me, and I planned to join them later. Well, it was much later in the end! I arrived at pushing three o'clock looking like I'd been dragged through a hedge. Smooth as you like. They had been forced into having emergency fries in Common and I was on the verge of eating my own hand. 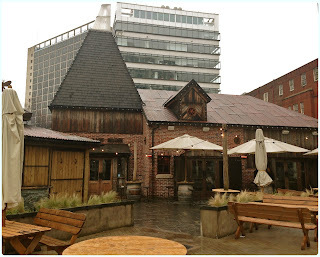 By the time we finally got to the Oast House, I was tired, hungry and had unacceptably frizzy hair. Within minutes I was relaxed, warm and coveting others' food. There was a musician playing 90s indie in the corner and I could smell the barbecue. Balance restored. The menu is simple yet effective. Boards with meat and cheese, hearty salads and barbecued meat. Wayne and Vicki both had the hanging kebabs, which are 'sopped' with sweet chilli and ginger and came with 'properly seasoned' fries which are then drenched in garlic butter. 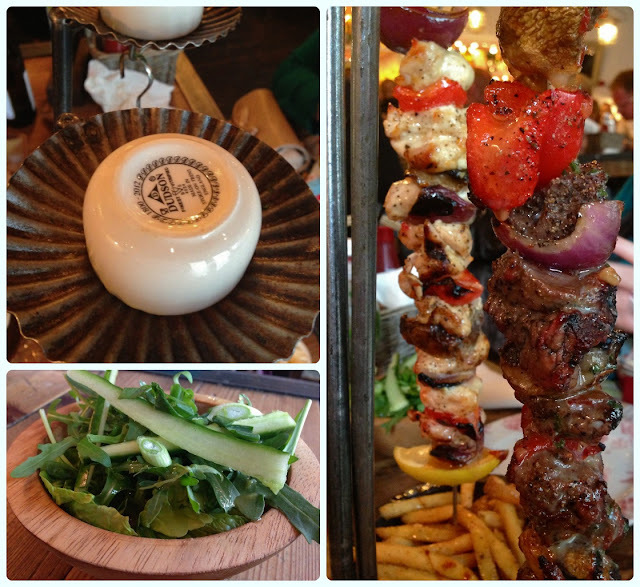 The kebabs come served vertically with the fries underneath... The garlic butter is then poured into a little basin at the top of the skewer which allows it to drip over the kebab and then onto the fries. Genius. Hungry yet? They had one chicken and one beef, but both looked equally amazing. 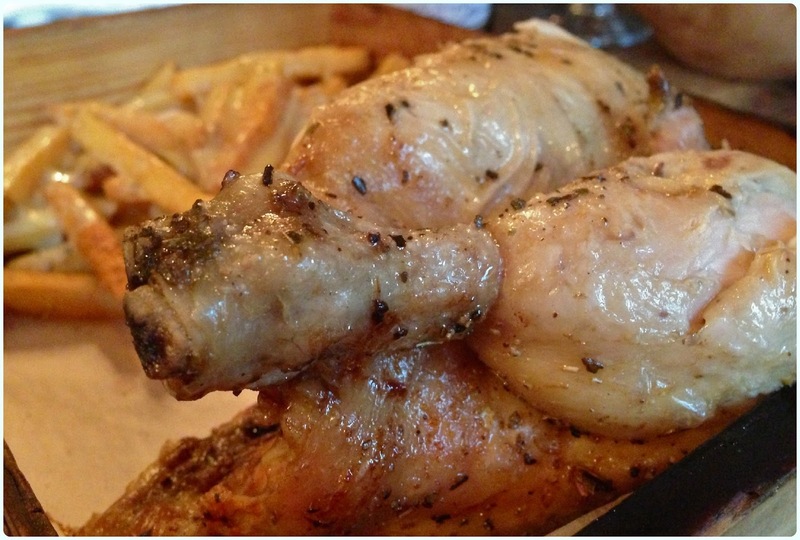 Paddy had half a chicken from the rotisserie with cheesy fries. I had my eye on said chickens from the moment we walked in because the rotisserie is visible from the door. They are unbelievably juicy with a nice crisp skin. The seasoned fries are fantastic - add cheese and they are quite possibly the 'best fries in Manchester' (to quote Wayne). 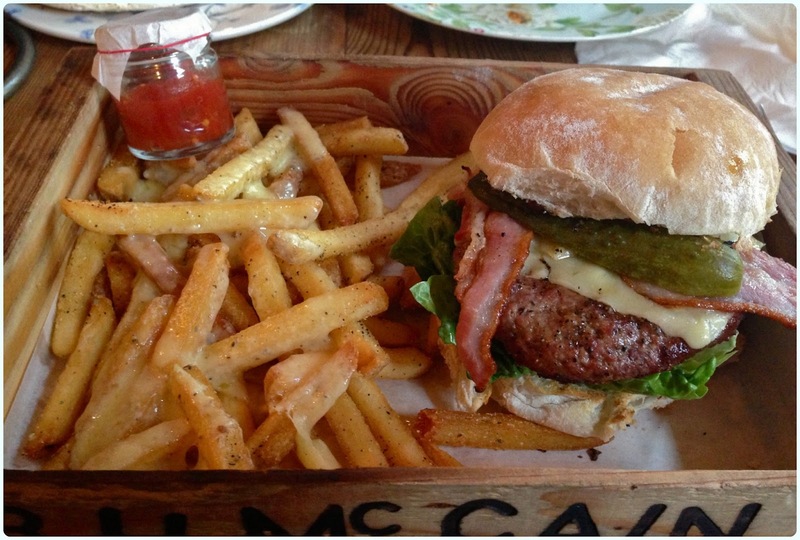 I had been craving a burger since I was cooped up in the office hours earlier, so was thrilled when mine arrived. It looked stunning. Big and bountiful with cheese fries. I'd also added cheese and bacon to my burger. And I quote... 'you want cheese on your burger and your fries?!' YES. It had been that kind of day. The burger was tasty and well seasoned and I've gone on about those chips quite enough for one post. It was ever so slightly overdone, but it tasted so good it didn't matter one jot. All memories of IT hell were gone. I had been lured to the Oast House by promise of Bakewell tart. 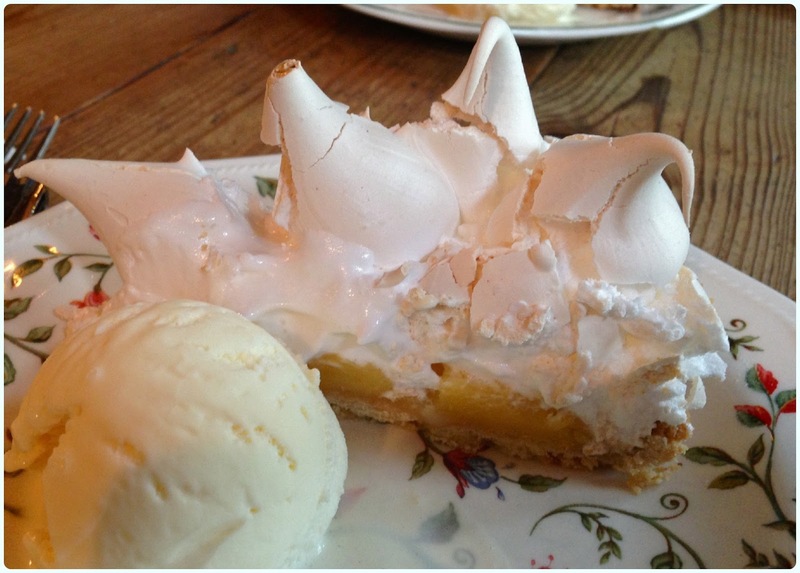 However, when I had been ordering food at the bar, I spied a rather impressive lemon meringue pie. My husband came to my rescue by ordering the Bakewell so I could try both. Yes, I really am an impressive specimen of a greedy pig. The lemon meringue was out of this world! A wonderful mix of crisp and gooey meringue with a tart filling in a pastry crust. All kinds of wonderful. 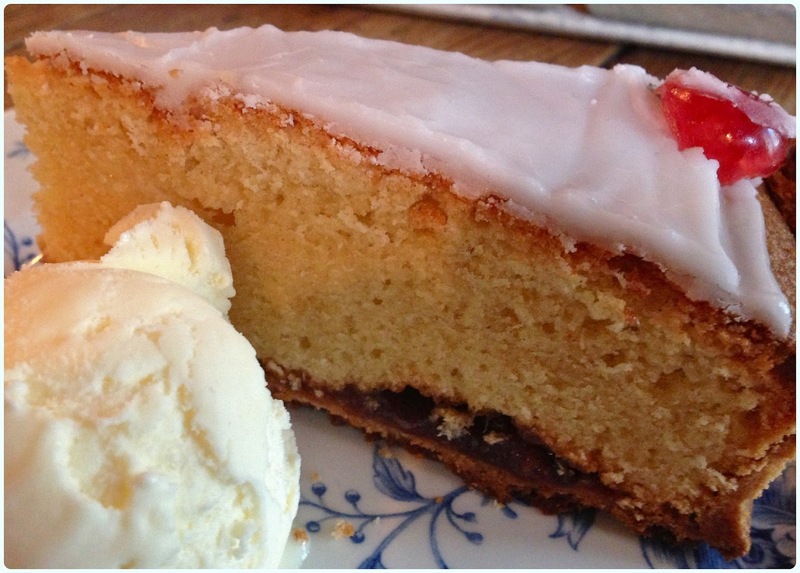 The Bakewell was a little dry, but still tasted brilliant. I think the dryness was cased by it being warmed and left for a moment before serving.